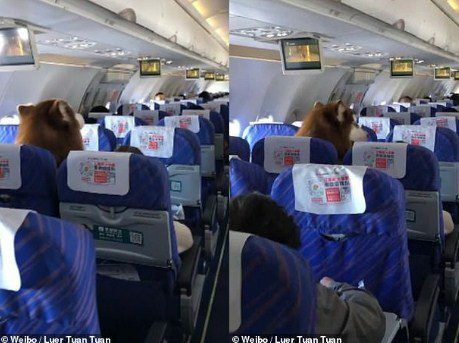 Travelers on a China Southern Airlines flight recently welcomed an unusual passenger in the cabin. 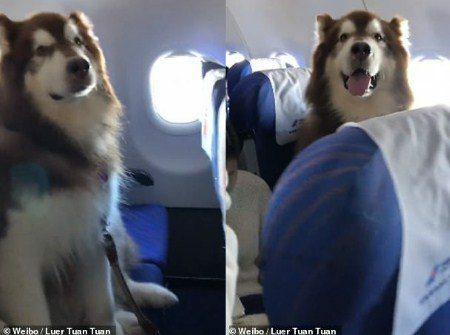 A large brown Alaskan Malamute was filmed sitting quietly in its own seat after being allowed to travel on the flight with its disabled owner, who was said to be an emotionally vulnerable flyer. A China Southern Airlines spokesperson told Southern Metropolis Daily that the service dog was qualified as an emotional support animal and has been approved by medical professionals with the relevant certifications. 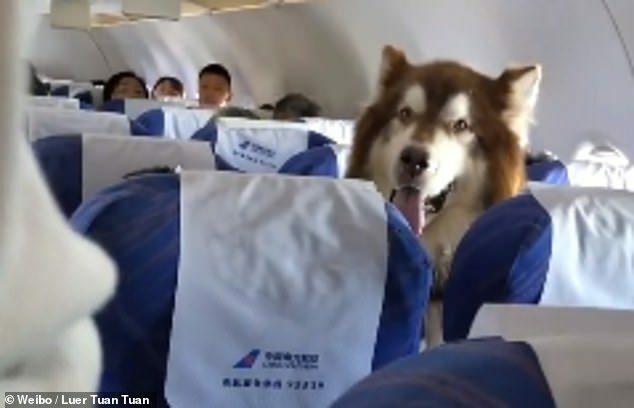 Amusing video footage shows the leashed dog’s large head sticking out amid the rows of passengers in the plane cabin. The video, posted on Chinese microblogging site Weibo on Wednesday, went viral instantly, with many net users saying they wouldn’t mind sitting next to the well-behaved dog. ‘Compared with annoying kids who keeps kicking other people’s seats or old people who talk loudly, I’d rather sit with a service dog!’ one user commented. ‘Such a well-behaved and cute dog. I wouldn’t mind sitting next to it!’ another user commented. The trained dog, which would provide support and companionship for its owner, was permitted to fly without charge, the report added. Airlines allow service animals such as guide dogs to travel in cabins with their owners, but the animals need official identification papers and a valid health certificate. In the US, the owners of emotional support animals must provide airlines with medical proof of their disability. 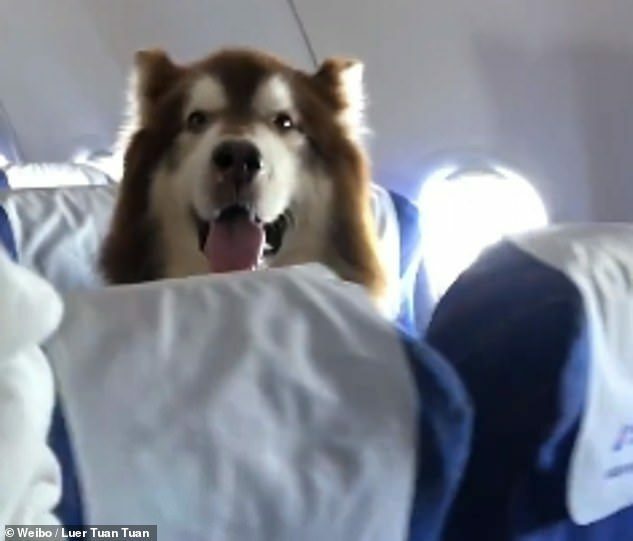 Last February, China Southern Airlines permitted an emotional support dog named Bruce to accompany her owner on a four-hour flight from Shenyang, Liaoning Province to Shenzhen in Guangdong. ‘To take a service dog on a flight, passengers need to submit medical proof, after which the ground staff will help the passengers and their dogs check in, pass through security and board the flight,’ said Shi Jun of China Southern Airlines in a previous Xinhua report.